The TJC Speech and debate team has closed out four consecutive tournaments this semester, making it one of the best years for the team by far. In the most recent tournament, the team won first place in 9 out of the 13 events, which is the biggest win at the Regional Tournament. 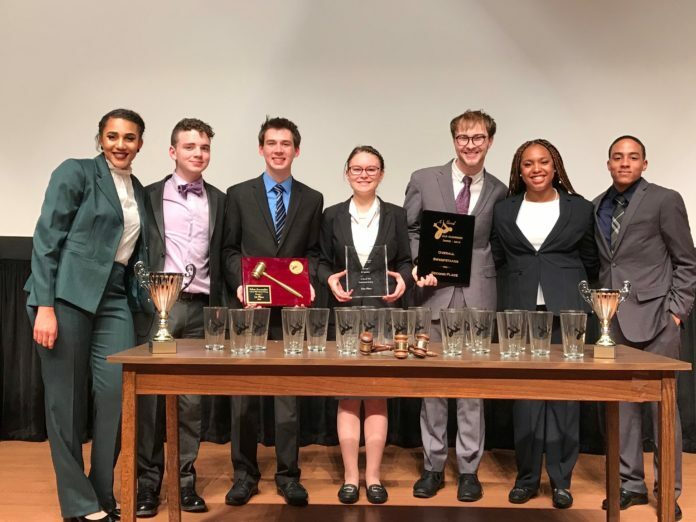 TJC placed in Debate sweepstakes, Individual event sweepstakes, Overall sweepstakes, Lone Star cumulative sweepstakes, Parliamentary debate, Overall top 10 speakers, IPDA debate, Extemporaneous, Impromptu speaking and Dramatic interpretation. The teams are led by Sophomores, Alex Dickson and Aaron Kelley, who the director says works the freshman hard in order for them to be successful during the tournaments. “To have two very good teams in one year is special,” said Hindman. Nicholas White, one of the members of the debate team, says this organization has helped him identify issues, understand them and solve them. It has improved his ability to have meaningful discussions without the negativity that disagreements bring. “It’s a better way to understand the world around us while at the same time challenging the beliefs we have as a society and our own individual perception of reality,” said White. The speech and debate team offers free tutoring and helps with public speaking for students needing improvement in those areas. The teams are preparing for their big tournament in Daytona, Florida where they will compete with 75 other schools from all over the country. The tournament will be in April. “I think we will do well,” said Hindman.